Mike Lanigan was a multigenerational farmer and cattle rancher who, in the summer of 2016, turned his life around. After spending lots of time with a calf who was just born, he realized how hypocritical it is for him to give so much love to these animals, only to slaughter them in the end. While he never liked doing it, he never thought that there may be a way out. After much thought, he decided to take the chance and stop raising animals for slaughter. Instead, he is now focusing on using his farm full of organic vegetables as a source of income, and showing people that it is possible for even a cattle rancher to fall in love with animals. 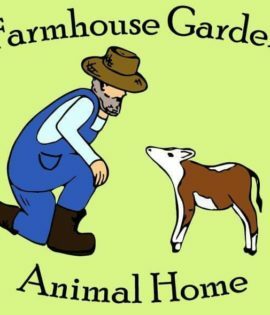 Farmhouse Garden Animal Home is now a place that fosters love and compassion for all animals. This little plot of land is a place for a community of animal lovers to come together and learn about how wonderful, sociable, gentle, and lovable farm animals can be. Enough to change anyone’s mind.